Do you desperately want to develop the sound quality of your audio system? A better way you can adopt is to join a subwoofer to the factory stereo effectively. That’s why you must know about how to install a subwoofer to a factory stereo. In this article, let’s have a detailed discussion about it. You may be wondering about the fact how tough it is to install a car subwoofer to a factory stereo. Like you, once I was thinking similarly. But you know what, once you have mastered the procedure, you can easily do it by yourself. This is the most important work you need to do at first. If you overlook this matter, nothing will work properly. After all, this is a matter of safety for you. If it blows up in anyway or suddenly causes shock to you, it definitely worsens the matter. So now, you have a factory stereo. First of all, you need to use the wires correctly and run the power effectively. Hence, you are going to lead the wire exactly to the ground side. As you want to get quality music into the amp, you need to drive the blue wire to make the amp on or amp. Now, you have to make a connection between the power wire and the battery as well. Then add a fuse holder too. You must run the power and its crucial point in doing this task. If you want to have it from the fuse box, engine noise can come through the car speakers. Try to lead the maximum power through the firewall and that will be better for you. Afterward, you must tape the area where the fuse is going to be wired. In this stage, you should make the stereo system out. On the back of the space, you will find 2 RCA cables. Plug it with the stereo and run the connection properly. Once you have placed all the wires rightfully, connect the battery power with the amp. Join the positive and negative terminal with the amp carefully. Make a connection with the speaker box also. The positive terminal of the amp is to get connected with the positive terminal of the speaker and you have to do it precisely. Now, take a speaker wire and carefully add it with the subwoofer. You have already grabbed the signal from the factory stereo.Finally, reconnect the power cable that you disconnected before. Conclusion: In this instruction, I have illustrated step by step guideline for you to follow. 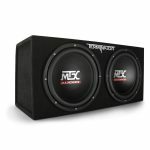 Hopefully, it will help you a lot in installing a subwoofer to a factory stereo. If you are reading this article, I am sure you are a passionate music lover with no doubt. It follows definitely a better way of improving the sound quality if you know how to install a powered subwoofer to a factory stereo.In this article, I willlet you know the simple steps to do it. 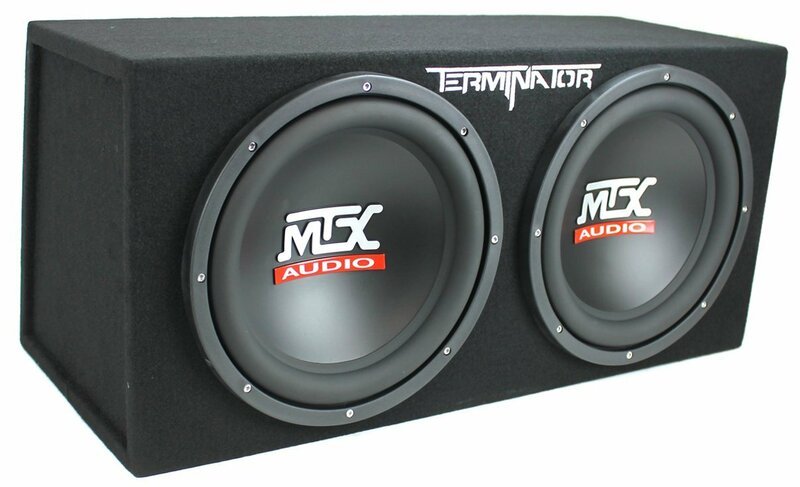 Power subwoofers have all of the important equipment’s such as amplifier, enclosure etc. that a subwoofer system requires to have. 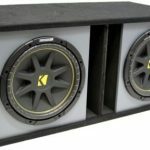 So, let me introduce you with the guidelines to install a power subwoofer. Generally, subwoofers associated with amplifiers produces heat andthat is why it requires enough ventilation opportunities. So, find a right place where you can efficiently mount the sub. There should be easy access to the fact. For an instance, you must dissociate the negative battery terminal for your safety. You must save yourself from unwanted shock and that’s why adopting this step. In the next step, transfer the cable to the powered subwoofer from the battery after running the wire effectively. Then crumple the terminal ring to one aside and connect the fuse holder on the other end accurately. Make sure you are putting the fuse adjacent to the battery. Never leave the lead unprotected. Once you have finished running the wire, the next step is to lead the active wire and RCA signal cables properly.In fact, it is necessary to create a connection to the factory stereo. Make sure you are plugging the cable in to the right outputs on the stereo configuration.Running them from the reverse side of the car is necessary because it prevents electric noise access. Otherwise, it is going to upset the music quality. On the factory stereo system, the signal will respond in a different way. At this stage, you will get positive and negative terminal of the speaker joining with the ground wire. Find a bolt where you can fix a ground cable. It should be in touch with the bare metal of the car. In fact, you should ensure the best connection. After finishing the crucial steps rightfully, you must raise the power subwoofer and make a strong connection. The wires should not bent and maximize the possibilities for making gentle curves on it. This process limits the chances of creating unwanted wear and tearing. Now, you must join the negative battery terminal that you disconnected before. Test it whether the subwoofer turns on or not while you start the car. At the final point, play some of your favorite music after installation of the powered car subwoofer to the factory stereo. If it functions properly, then you have done a successful job.